Hilda Mae Pittman, 81 years, of Willow Hill, PA passed away on Saturday, November 24, 2018 at the Chambersburg Hospital with her family by her side. She was born on Saturday May 22, 1937 in Hustontown, PA, the daughter of the late Oscar and the late Ella (Mellott) Martz. 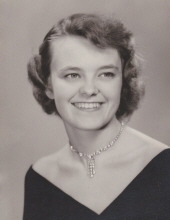 Hilda was a graduate of McConnellsburg High School in 1955. She married the late William S. Pittman Jr. on Dec. 24, 1960 Early in life, Hilda worked at the Sagner Company in McConnellsburg, PA and the Stanley Company in Chambersburg, PA as a press operator. She later owned and operated a restaurant, motel and service station in Willow Hill, PA and an arcade in McConnellsburg, PA. Hilda's last business venture was owning and operating a Carnival and Amusement Games which led to her family traveling up and down the east coast, from Florida to Maine. Hilda is survived by her two children, Susan K. Finniff of Willow Hill, PA and Rick (husband of Jeanne) Pittman of Willow Hill, PA, 2 grandchildren (Brian and Amy) and 3 great grandchildren (Kayden, Elijah and Ezra). She is also survived by one sister Dorothy Trostle of Hancock, MD and one brother Norman Martz of Cottonwood, AZ. Hilda is preceded in death by her parents, her husband William Pittman and two brothers, Ralph and Clarence Martz. A funeral service will be held on Friday, Nov 30, 2018 at 1:00 PM at the Antioch Christian Church, 7902 Timber Ridge Rd., Big Cove Tannery, PA 17212 with visitation one hour prior to the service. Interment will immediately follow at the church cemetery. Hilda' care has been entrusted to Kelso-Cornelius Funeral Home in McConnellsburg, PA. Online condolences may be expressed at www.kelso-corneliusfuneralhome.com. To send flowers or a remembrance gift to the family of Hilda Mae Pittman, please visit our Tribute Store. "Email Address" would like to share the life celebration of Hilda Mae Pittman. Click on the "link" to go to share a favorite memory or leave a condolence message for the family.